The InStride Xelero Comfort Care Quarter Socks, White - Large 3 Pairs are X-Static and with MicroFiber high tech performance. Designed for people with Diabetes, Arthritis, and other foot problems. InStride Xelero Comfort Care Socks are designed for people with Diabetes, Arthritis, and other foot problems. InStride Xelero Comfort Care Quarter Socks keep your feet dry and comfortable. Non-binding Construction - gives extra cross-stretch for comfort. Extra-Wide, Non-Restrictive Top - top does not bind. Anti-Microbial - Provides an invisible microbiostatic coating to inhibit the growth of odor causing bacteria, which cause straining, and discoloration, fungi (modl and mildew), and algae. Wicks Moisture - Helps pull moisture away from the feet, to provid a drier comfort. Features Mild Compression and Knit Construction. 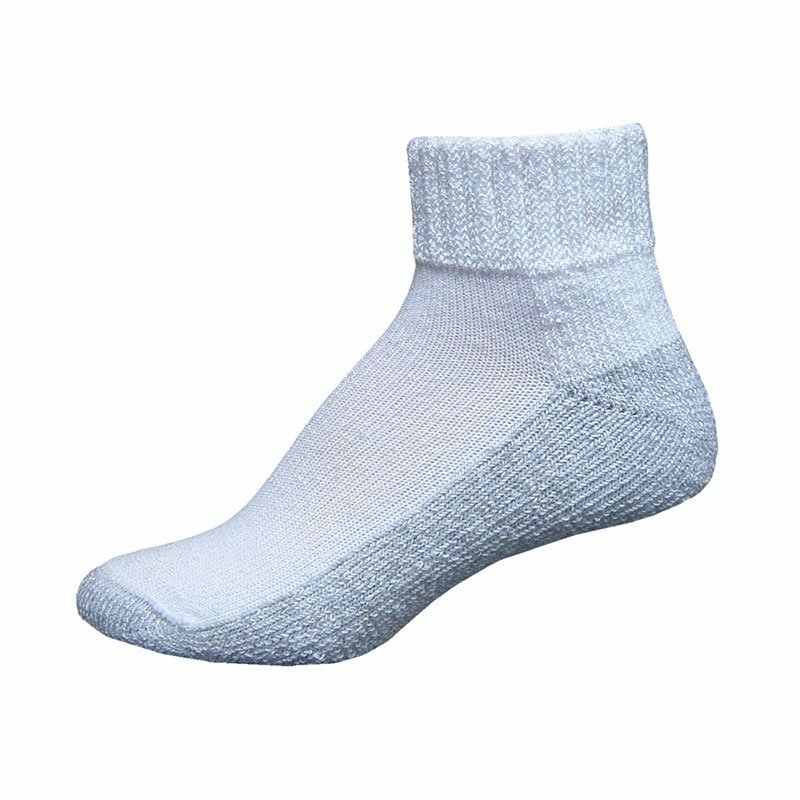 Contains 3 Pairs of White InStride Xelero Comfort Care Quarter Socks - Large. Composed of 76% Polyester, 12% Acrylic, 10% Nylon, and 2% Spandex.